The airport in the southern Russian city of Rostov-on-Don. A passenger jet en route from Dubai to southern Russia crashed Saturday during an attempted landing, killing all 62 people aboard, including four children, reported the Sputnik state news agency, citing a source in the Emergencies Ministry.. The Boeing 737 operated by Fly Dubai was trying to land at the airport in Russia’s Rostov-on-Don in poor visibility and apparently missed the runway, an emergencies source told RIA Novosti on Saturday. According to preliminary data, 55 passengers and seven crewmembers were aboard the jetliner. "All the passengers who were on board were Russian citizens. Crew members were foreigners," a spokesman told Sputnik. 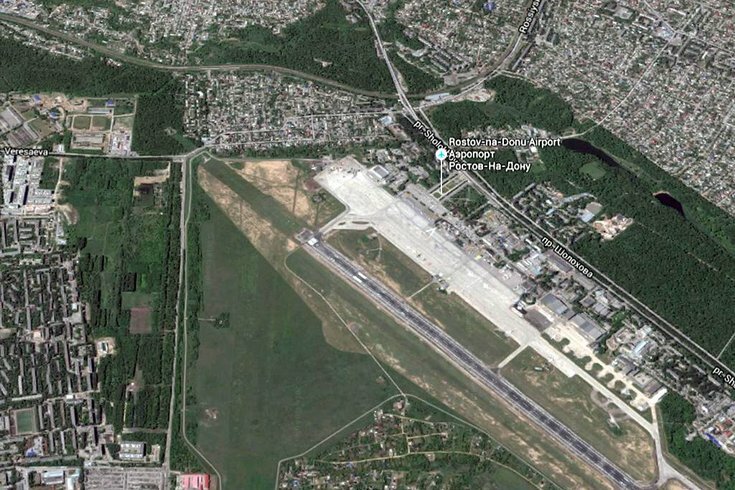 State news agency Tass reported that the Investigative Committee, the country's top investigative agency, said preliminary information indicates the plane was landing when it hit the ground and broke into pieces at the airport about 600 miles south of Moscow. There was no immediate information on the cause, although some news reports suggested weather could have been a factor. There was rain and 25-mph winds at the time of the crash. On Oct. 31, a Russian airliner blew up in the air over Egypt's Sinai Peninsula, killing all 224 aboard. Investigators determined it was destroyed by a bomb onboard.